Human life is very precious because we have the opportunity to be free from suffering. It is like a good ship that will take us to the other shore (across the sea of suffering). We can free both ourselves and others by using this opportunity to study, reflect and meditate day and night (without being distracted), to benefit both them and us – this is a Bodhisattva practice. Too much attachment to our homeland, family and friends is like being caught in a web from which we cannot escape. Anger, dislike, hatred of our enemies, burns us like fire. Ignorance of these states does not allow us to see what to do or what not to do. Letting go of this attachment is a Bodhisattva practice. If you avoid negative environments, negative emotions will gradually decrease. Good activity will gradually flourish due to lack of distractions. Your mind will become clear and virtue will arise. Remaining in solitude is a Bodhisattva practice. Loved ones and old friends will be separated eventually. Possessions we have gained will all be left behind. Our mind will leave our body like a guest leaves a guest house. Letting go of this grasping is a Bodhisattva practice. When you keep bad company the three poisons (anger, desire, ignorance) increase. Your listening, contemplation and meditation practice decline. Your ability for love and compassion will be lost. Giving up bad friendship, this is a Bodhisattva practice. When you rely on a spiritual friend then your negative activities naturally decline. Your good qualities (like compassion and wisdom) grow like the waxing moon. Cherishing a spiritual friend even more than your own body, this is a Bodhisattva practice. Worldly gods are themselves prisoners of the cycle of existence. If we rely on them, how then can they protect us? Therefore, take refuge in the Buddha, Dharma and Sangha, you can trust them not to mislead you – this is the practice of a Bodhisattva. Buddha said: Negative Karma causes bad rebirth and unbearable suffering and is the fruit of wrong action. Therefore, even at the cost of your own life, not committing any negative action is a Bodhisattva practice. Worldly pleasures are like drops of dew on grass. They last for a little while and then vanish. Unchangeable equanimity is the state of the awakened mind. To aspire to this state is a Bodhisattva practice. From beginning-less time all sentient beings have been our parents. If they are now suffering, why am I only seeking my own happiness? In order to free unlimited sentient beings from suffering I should be generating loving kindness and compassion – this is a Bodhisattva practice. All our pain results from craving for our own personal happiness. The awakened mind is born from a wish to help others. To make ourselves free from suffering we should exchange our happiness for another’s suffering – this is a Bodhisattva practice. Due to greed or ignorance, a person steals or may steal our possessions. The antidote is to dedicate your wealth, good karma (past, present and future) to them, this is a Bodhisattva practice. 13. Accepting suffering and transforming it into rising compassion. Even if you do not have the smallest fault, someone through ignorance may try to injure you physically. The antidote is, out of compassion, to take this negative action upon yourself – this is a Bodhisattva practice. If somebody broadcasts unpleasant or negative remarks about you all over the world, the antidote should be to generate love and praise them – this is a Bodhisattva practice. If, in a large crowd, someone uses harsh words to criticise your faults or speak badly about you, the antidote is to consider them as a spiritual friend and show them respect – this is a Bodhisattva practice. If I have looked after someone like my own child and they treat me like an enemy; the antidote is to treat them as a mother would a sick child. Even if the child behaves badly, she will be more compassionate towards the child – this way is a Bodhisattva practice. If a person equal or beneath you in status tries to bully you out of arrogance, the antidote is to consider them as your spiritual friend and show them respect – this is a Bodhisattva practice. Even when suffering through lack of food or material possessions, being looked down upon by others or suffering from disease or sickness of spirit – the antidote is to take upon yourself the negative deeds and sufferings of all sentient beings without being discouraged – this is a Bodhisattva practice. You may be very popular or famous, earning great respect and have money and material possessions like that of a king; the antidote is to realise that worldly fortunes have no real substance, and be free from arrogance and conceit – this is a Bodhisattva practice. The real enemy is your own internal anger. If you do not control it, external enemies will only multiply – the antidote is to control your own anger skilfully using love and compassion and this will subdue the external enemy – this is a Bodhisattva practice. Sensual pleasures are like drinking salty water (the more you drink, the more your thirst increases). With sensual pleasure, the more you enjoy or indulge them, the more your desire increases – the antidote is to abandon attachment to these desires as soon as they arise – this is a Bodhisattva practice. Whatever appears in this world is a perception of your own mind. The mind itself is free from any limitation – no beginning, no end. If you understand this, that there is no subject, no object, no action – this is a Bodhisattva practice. When we experience beautiful objects or places, like a summer rainbow, we should understand that even though they are beautiful, they do not truly exist and should let go of any attachment we have for them – this is a Bodhisattva practice. All different forms of suffering are like the death of a child in a dream. Considering this dream to be real, as truly existing, drains us of energy. Seeing all this as misunderstanding and misperception – this is a Bodhisattva practice. Those who want awakening of mind, give up even their own bodies. For them there is no need to speak of external material things. Therefore, when they are generous they do not hope or need any benefit in return – this is a Bodhisattva practice. Without morality our own interests will not be satisfied. A desire to help others without moral principles is a joke and cannot be taken seriously. Keeping to a moral code without taking account of what the world thinks – this is a Bodhisattva practice. Bodhisattvas who want to develop and gain virtue transform all problems into an opportunity to practice patience and rising compassion. Therefore, cultivate patience without anger – this is a Bodhisattva practice. Those practitioners who are only interested in their own salvation practice diligently as if their head was on fire. To benefit all sentient beings, we should also practice diligently, this is the source of all good qualities – this is a Bodhisattva practice. Meditation, mindfulness and calm abiding will gradually destroy disturbing and negative emotions. 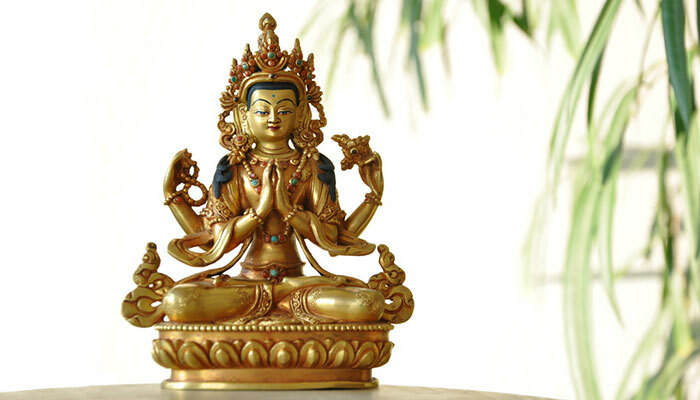 Meditate diligently to develop mental stability, rising compassion and wisdom – this is a Bodhisattva practice. Without wisdom, the other 5 perfections will not allow you to achieve enlightenment. You may have the right method but not the correct skill (wisdom). 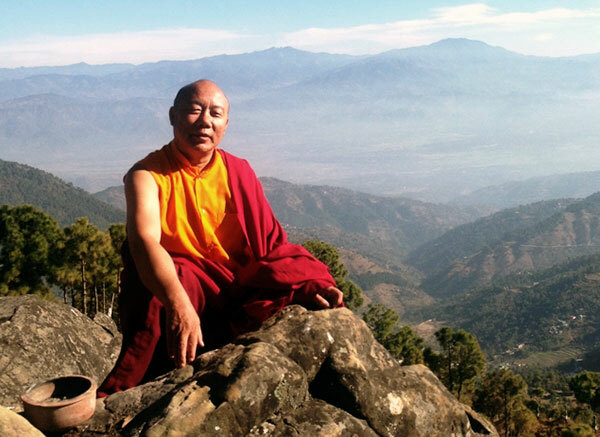 We need to cultivate the skill (wisdom) and the method (the 5 perfections) side by side – this is a Bodhisattva practice. If you do not examine you own faults, you may look like a spiritual practitioner externally but have no real internal spiritual practice. Constantly examine your own faults and rid yourself of them – this is a Bodhisattva practice. Due to negative emotions, if you find faults with other Bodhisattvas you will lose virtue and good karma. Don’t mention the faults of others who are great practitioners – this is a Bodhisattva practice. Fame, reputation and material possessions bring disagreements and quarrels. You will lose your ability to listen, contemplate and meditate. For lay practitioners especially, getting rid of such attachment is a Bodhisattva practice. Harsh words upset other people. Your spiritual life will decline also. To abandon speaking harshly and disturbing the minds of others is a Bodhisattva practice. If we have habitual negative emotions they are often very difficult to give up. Mindfulness is the antidote to letting go of these negative emotions as soon as they arise – this is a Bodhisattva practice. Remember, whatever you are doing, ask yourself: ‘What is my mind doing now?’ Always be self- aware and vigilant and your actions will be skilful and bring benefit to others – this is a Bodhisattva practice. Dedicating the merit from your practice for all sentient beings to be free from suffering and to realise the true nature of mind – this is a Bodhisattva practice. As narrated by Lama Lhakpa Yeshe.